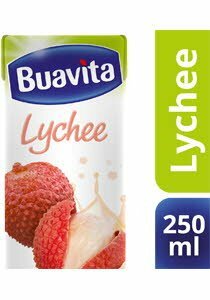 Ready-to-drink Buavita is the leading real fruit juice brand in Indonesia. It is made from real fruit juice, with more fruit content and without any preservatives. Giving you all the goodness of real fruits! Explore our extensive range of Ready to Drink (RTD) fruit juice flavors today. Product can be consumed directly. Keep refrigerated. Shake before drinking. Refreshingly delicious on it's own, it can also be used as a base for creative beverage recipes. Explore our recipes page for inspirations to excite your guests.